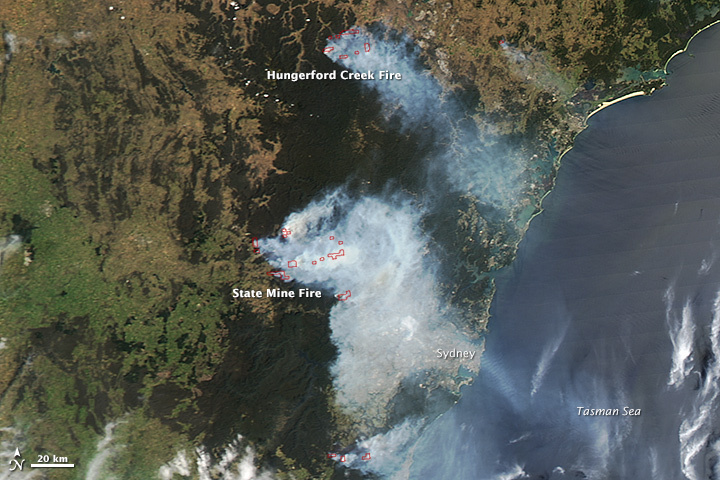 On October 21, 2013, dozens of wildfires continued to burn in New South Wales, Australia. 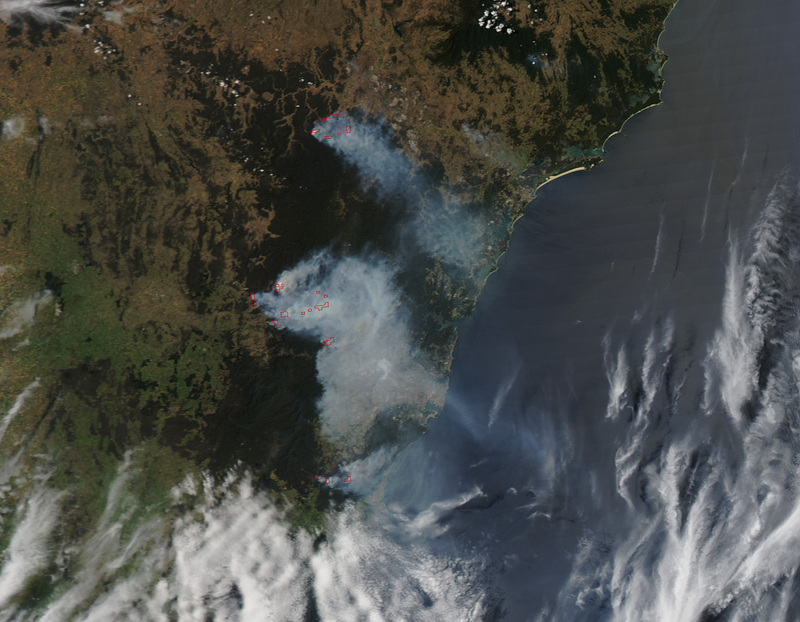 The fires had already destroyed more than 200 homes, and Australian authorities were concerned that hot, windy weather could exacerbate the situation. The Moderate Resolution Imaging Spectroradiometer (MODIS) on NASA’s Aqua satellite acquired this image at 2:25 p.m. local time (3:25 Universal Time) on October 21. 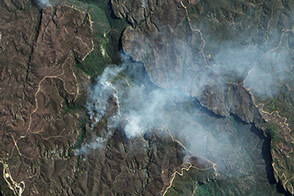 Red outlines indicate hot spots where MODIS detected unusually warm surface temperatures associated with fire.The largest fire shown here is the State Mine fire, which was burning in the Blue Mountains. 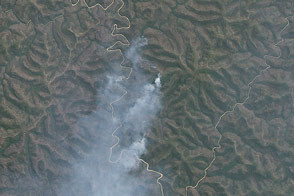 The fire had burned more than 42,750 hectares, according to the New South Wales Rural Fire Service. 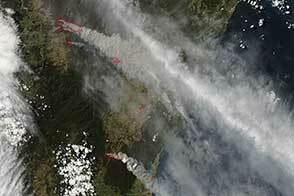 On October 21, 2013, destructive wildfires burning in New South Wales were poised to worsen. Fires burning in New South Wales Australia during the 2013-2014 fire season. 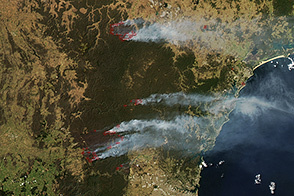 Australian Broadcasting Corporation News (2013, October 21) Fire crews in NSWQ continue backburning as conditions tipped to deteriorate. Accessed October 21, 2013. The Australian (2013, October 21) Blue Mountains dodge mega-fire but threats remain. Accessed October 21, 2013. New South Wales Rural Fire Service (2013, October 21) Current fires and incidents. Accessed October 21, 2013. New South Wales Rural Fire Service (2013, October 21) Major Fire Updates. Accessed October 21, 2013.